Depawater recently installed two Tricel Novo 95% treatment plants for a customer in Ballykindler, Co Down. When a customer approached us at the Selfbuild Exhibition in the Titanic exhibition centre in Belfast, we quickly found a solution for them. 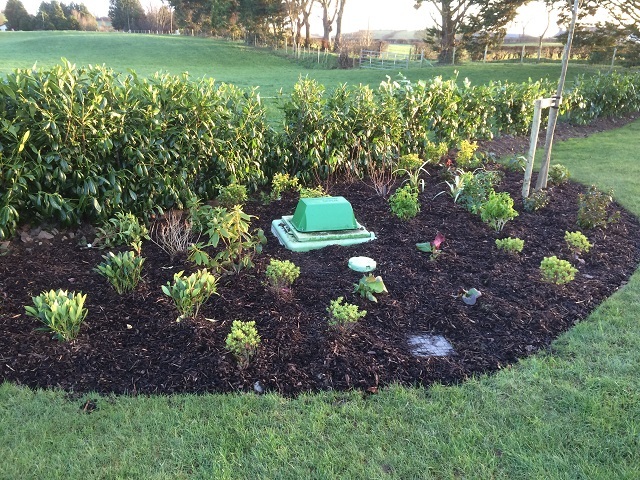 During the extension and renovations to their home, the customer discovered that their existing septic tank needed upgrading as it was not only non-compliant with the current legislation for consent to discharge, but it was also giving off a constant foul odour around their home and their mothers home which is adjacent. Depawater sprang into action, and after an initial courtesy site inspection we quickly came up with a reliable and effective solution. Through a routine site assessment, Depawater identified that the two dwellings were discharging into one septic tank and overloading it. On top of that issue, the existing block built septic tank was old and perishing. This perishing had further led to blockages and resulted in the foul odours that the families were now experiencing. As we already knew the tank was non-compliant, the customer realised this was a serious issue that required fixing. Our client required an effective and reliable solution put in place for both existing properties. Each needed to be up to date and compliant with the current consent to discharge legislation for sewage disposal from a domestic dwelling not connected to the main sewers. The customer had no idea how to obtain the required consent to discharge as the application process was daunting to them. They needed someone with all the answers. As an industry specialist, Depawater provided a full package solution. This package included obtaining a consent to discharge for both properties concerned, the supply and installation of a suitably sized sewage treatment solution for each of these properties. Also included was the provision of a reliable and trustworthy service and back-up to help them maintain their sewage treatment tank at both properties. Depawater quickly resolved the issue by filing and obtaining new consent to discharges and finally installing independent tricel Novo 95% domestic sewage treatment tanks for each property. 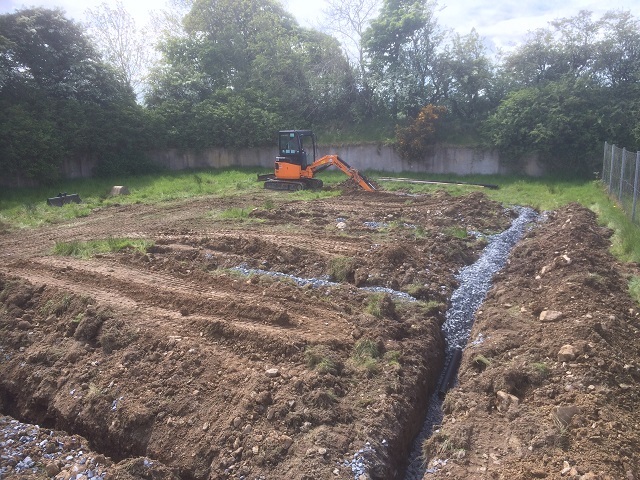 A new soakaway drainage field was provided for the second sewage treatment plant as there was only one currently in place. It was a requirement that one gets supplied for each treatment tank. 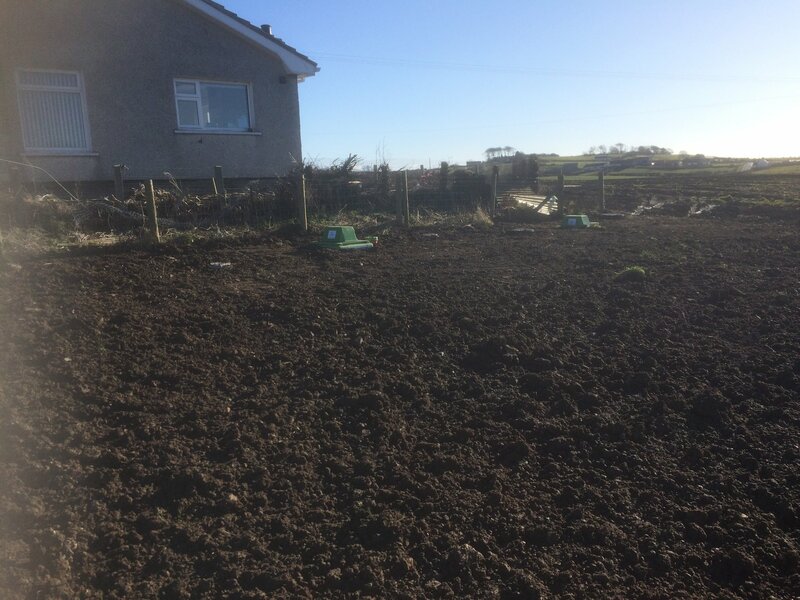 At each property, the drainage field was sized and installed accordingly after testing the onsite drainage and calculating the sufficient area needed for adequate drainage. The job was completed from start to finish in just three days, including, installation, percolation drainage field, electrical connection, clean-up and commissioning. Once again, another customer availed of the unique, trusted and experienced services of Depawater. We work hard to provide professional services at value for money prices that you know you can depend on! This undertaking is another example of a job which was completed quickly and to the customer’s complete satisfaction. 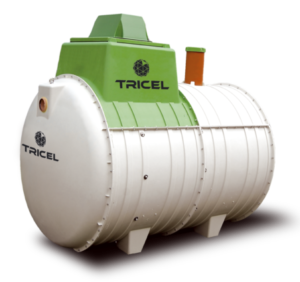 The impressive results achieved came about using only the best sewage treatment tanks on the market, Tricel sewage treatment solutions. Tricel products are dependable, effective and provide very high value for money solutions.